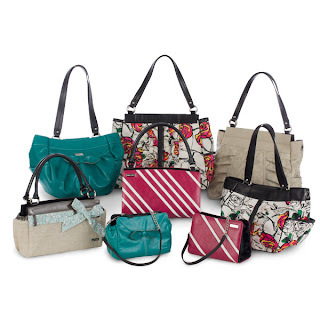 Please stop by my "Perfect Purse For You" blog to see the latest Miche Releases for March 2012. If you would like to purchase Miche products from me, my official Miche website is HERE. Just a reminder that there is only one month left for Stampin' Up! Sale-a-Bration. Don't miss out on this fantastic opportunity to earn free products. This promotion ends on March 31, 2012. Almost forgot ... there are NEW My Digital Studio Downloads HERE. I made my very first envelope yesterday using the Simply Scored Diagonal Plate. It was quick and easy. I love how I was able to match the flower color perfectly (Poppy Parade). 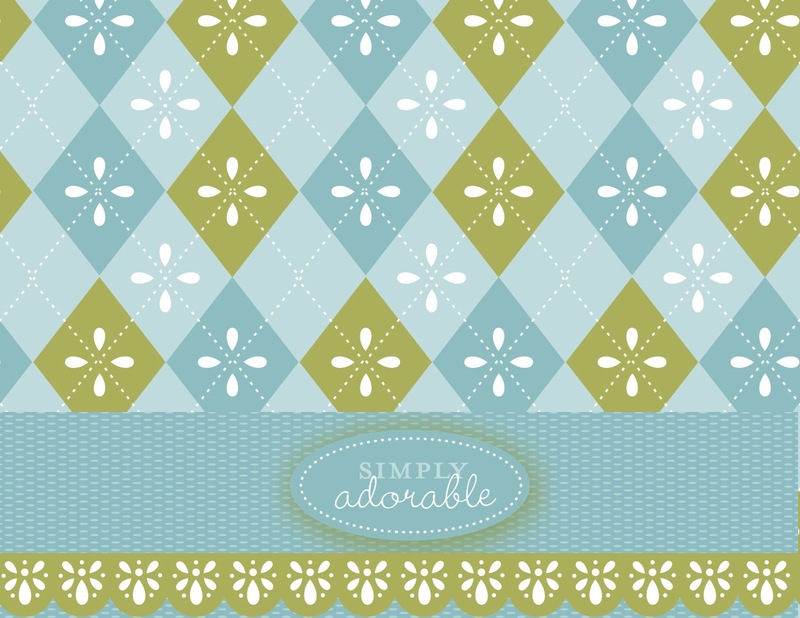 This is an A2 size envelope that will fit a card that is 5 1/2" x 4 1/4". The plain envelope or envelope with stamped images is perfect for mailing. I made the flower the other day (tutorial on my blog) and decided it would look great on the outside of the envelope. Because this flower has a brad and layers, it would not be an envelope that you would be able to mail. You would use this type of envelope with embellishments for a card you were going to hand deliver. 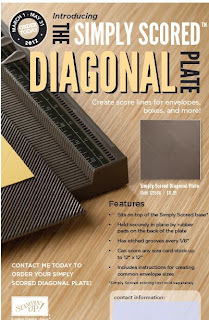 The video tutorial on how to use the Simply Scored Diagonal Plate is on yesterday's blog post. 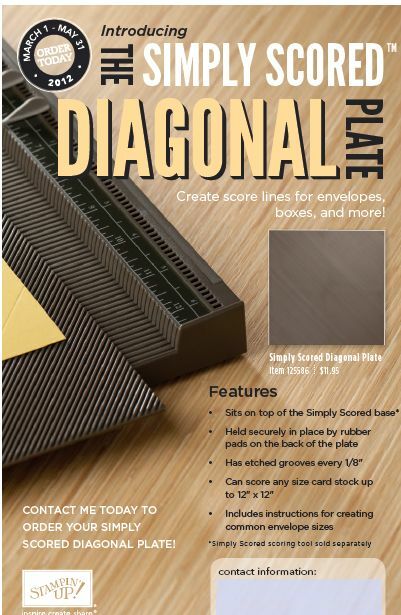 Simply Scored Diagonal Plate will be available for purchase as of March 1st. This promotion runs from March 1st thru May 31st, 2012. I was able to pre-order mine because I am a Stampin' Up! Demonstrator. I received it yesterday. It was so quick and easy to make an envelope out of card stock. Here's a video telling you more about it. 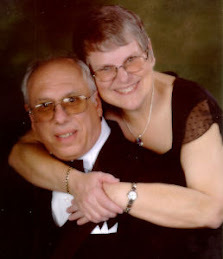 If you are reading this via e-mail, you will not be able to view the video unless you come to my blog. I think this is a great tool and will get lots of use at my house (and yours too). Remember to work properly it needs to be used with the Simply Scored Base. I also wanted to remind you that every two years Stampin' Up! retires 5 In Colors and then introduces 5 new In Colors. That means our 2010 - 2012 In Colors will retire as of May 31st. The stamp pads, ink refills, card stock, Designer Series Paper, ribbons, brads etc are all affected if they contain an In Color. Once the retirements are announced these will sell quickly. I highly recommend if you have an In Color you LOVE and want more of, to purchase it now while there are supplies on hand. As we get closer to the retirement date, there is a much greater chance of a complete sell out. The 2011-2013 In Colors will still be available for one more year. I have had many requests for a tutorial on how to make the Blossom Paper Punch Flowers that were featured on my February 17th blog post and my February 15th blog post. I think a few photos would be helpful in showing you how to create these beautiful flowers. Here are all the pieces punched out. Blossom Punch Flower: Punch 3, each a different color. ...... Cut the 2 that will be shadows into 6 piece pieces. ...... Do not cut the 3rd Blossom Flower. I will refer to this as the main flower. Build a Blossom Paper Punch: Punch 3 leaves of same color and style. Put multi-purpose liquid glue no more than half up the pie shaped very vanilla piece. Using liquid glue will allow movement for perfect placement of the petal shadow. Do all 6 shadows. I find it is easier if I work with the Main Flower facing me. Photo of the back of the flower with all 6 very vanilla shadow pieces in place. Repeat shadowing steps with the other pie shaped piece of paper. The Modern Label Punch pieces (3) are glued and layered across the Main Flower Piece. Very complimentary to the scalloped edges of the flower. Now add in the 3/4" circle. Using a paper piercing tool, pierce a center hole in the flower center circle. Rotate the piercing tool a bit to enlarge the hole. Now add in your brad. If you would prefer a button could be added instead. Choice is yours. If you use a button, no paper piercing is needed. Last step is to glue your petals to the back of the flower. I placed them at every other petal. You definitely could add more in if you like more greenery showing. Flower is now ready to be place on your card or gift item. When I saw the bicycle built for two silhouette yesterday on the newest downloads for My Digital Studio, I knew I had to have it. 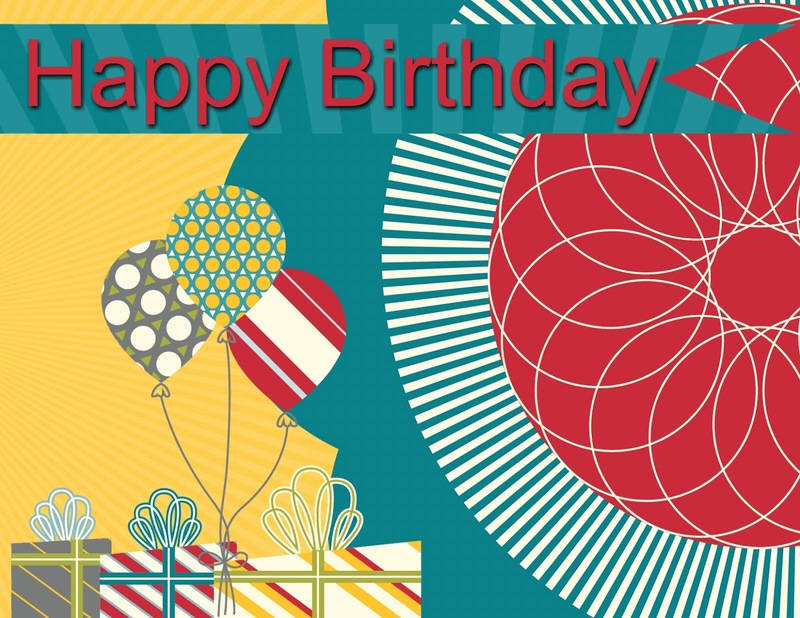 Then I immediately sat down and created this card in My Digital Studio. I immediately thought of the song we sang as kids ... "Daisy Bell - A Bicycle Built for Two"
It's funny I thought that the song was just that. It turns out that this is the chorus and there are actually three verses. 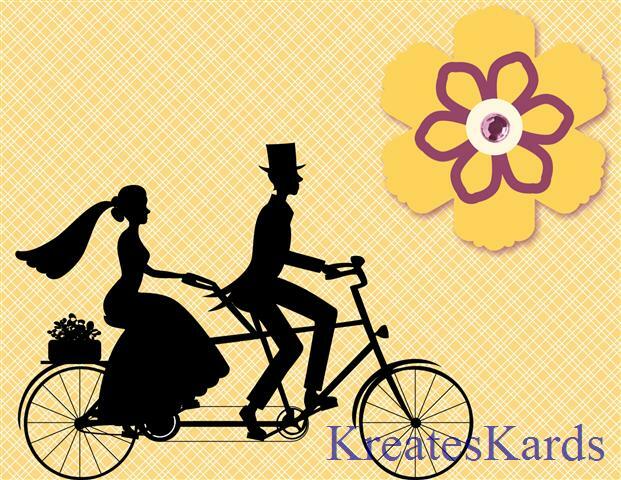 Love the bicycle built for two wedding download. So cute. I needed a couple of Thank You cards today and realized that I had not used my new embossing folder yet. So this is the card I made today. Tip: When using Edgelits and Textured Impressions Embossing Folders, always cut first then emboss. Otherwise you may flatten out the embossing when you run it thru the Big Shot the second time when you want to cut the edge. This style card is very versatile and could be used for many occasions just by switching out the sentiment. This weekend, my husband and I were finally able to get away for a few days for a short "staycation". This is our first vacation in over 3 years that we actually got to get away for a few days. Above are 3 of the photos we took at the resort. And yes, it was warm enough for many people (not me) to go swimming. We stayed at the Pointe Hilton Tapatio Cliffs Resort. Would highly recommend it. Just be advised that is HUGE and actually built into the cliffs so there was lots of walking, stairs, and climbing of hills to get from our suite to the other buildings. There are numerous pools and jacuzzis too. We had the feeling that we were out in the middle of nowhere, but in actuality we were just minutes away from the stores, mall, grocery etc. We had such a good time. So glad we got away. Hope you all enjoyed the weekend too. I needed a thank you card the other day, and this is the card I made. The tiny pearls are one of my favorite embellishments from Stampin' Up!. The long string of pearls was a perfect accent I thought to the ribbon and card. I did use a couple "strings" to go all the way across the card. They are easy to place as the ribbon is stitched down the middle (great guideline) and the pearls have adhesive on the back. Lay the pearls out on the ribbon and then press firmly in place. This card just makes me smile. I'm sure it is because of the butterflies and the assorted colors. I used scraps of card stock and designer series paper to create the butterflies. The butterflies were attached to the card using mini glue dots so that the wings should be up off of the card to give a 3D effect. A close-up of the butterflies. Notice all the texture on them (I used Embosslits from Stampin' Up! which cut and emboss at the same time). This is a sample of a "negative" image. When I used the framelits for the Big Shot, it leave a negative image behind on the card stock. For my card on Tuesday, I used the cut out image and today I used the negative image by trimming the card stock to fit my card base. A great way to recycle rather than just toss. Sale-A-Bration runs from January 24 thru March 31, 2012. It is one of our largest promotions from Stampin' Up! Demonstrators and customers alike anticipate and look forward to this promotion each year. We are right in the middle of it now with just about 6 weeks left. Don't miss out on the opportunity to earn FREE Stampin' Up! products. For every $50 you spend (before tax & shipping) on Stampin' Up! Products, you may choose one item from the Sale-A-Bration brochure. There is no limit to the number of products you may earn or the number of times you may order during the promotion. 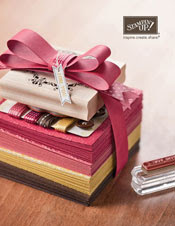 There is such a wide variety of products from stamps, brads, ribbons, designer series paper, fabric, Big Shot items, and MORE!!!! Here's my creation using the punch flower that I showed you yesterday. The card was created using the new Label Collection Framelits, the Blossom Punch, Modern Label Punch along with some stamps. I'm really pleased with the result. This card could be used for almost any occasion and the color combination could easily be switched out. The latest My Digital Studio downloads are now available. Click HERE. Flowers done, now to create my card. More information tomorrow with additional photographs of the completed card I'm working on. Last night I was busy creating some Valentines when I came up with this idea. Inside the card is a personal note that I have handwritten. I like the silver glimmer paper heart in the middle of the larger heart. There is still time to make a beautiful Valentine for someone you love. Take a few minutes out today to be creative. The other day I found a beautiful card made by Sandi MacIver. I decided to create a card like it and ended up making 3 of them. 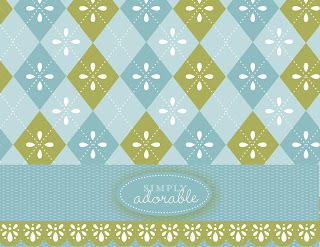 It is a mix of Big Shot Framelits, paper punches, and designer series paper (DSP) all from Stampin' Up!. Here are the 3 cards in one photo. I like the flocked DSP and the pearls added as embellishments. Any paper with designs on it shown in the photo is from the same package. I was on a mission to use some of my scrap card stock on hand, so switched out the greens for the leaves and also the shadow of the framelit. With this card I changed the orientation from portrait to landscape. With any of these cards a sentiment could be easily added. Since I used the flocked DSP, I did not stamp any center image on my cards. I have had a number of questions about my white/purple glue holder that is shown in a couple of my videos. I have found that when I am working on a project that storing the glue upside down keeps the glue at the tip of the bottle and makes it so much easier to use. The white/purple holder is a magnetic paperclip holder that I found a while back at a office supply store. The amber glass tree stump is actually an antique toothpick holder that I found this weekend for about $5 at the local antique store. Other items that would work (just be sure that it has a flat base and is heavier than the bottle of glue you are storing in it): candlestick holder, shot glass, paperclip holder, toothpick holder, tea light candle holder. Can you think of any others that might work? Thought this would be a cute baby card. I created it in My Digital Studio from Stampin' Up!. I can print it out as a photo and then attach it to a card base. Another choice would be to set up the inside of the card too and then have Stampin' Up! professionally print it (for a fee) for me. Both ways are good options. I created this card in My Digital Studio using Piece of Cake Ensemble CD, item #127222. 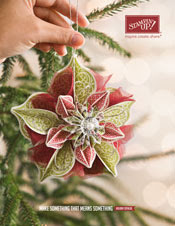 It is in the Sale-A-Bration brochure and is one of the FREE products you can earn with purchase of Stampin' Up! Products. The following 13 cards were made using only Whisper White card stock for the bases, stickers from the Designer Sticker - Sweet Shop pack (item #125584) and a Sale-A-Bration stamp set called Elementary Elegance Stamp Set (item #125120 - Wood or item #125122 - Clear Mount). Sweet Shop Designer Stickers comes with 4 sheets of clear stickers; 2 sheets ea. of 2 designs. 6"x6". I challenged myself to see how many cards I could create using just those items. So often we each need a quick and easy card for a birthday, or you want a simple way for a child to make a card to give for a birthday. Whatever the reason, these cards work well and were easy to make. You could use any color card base, but I choose Whisper White as it is a color most stampers have on hand. The stickers have adhesive on the back so will stick immediately to your card base or envelope. These would make a great gift item too for anyone who likes to use stickers. Just a reminder that if you click on the photos below you will be able to see an enlarged version of each of them. Wanted to make a quick card today, so decided to use one the Side Note - Attic Boutique, item #125413 and then added in my own note. There are 24 total notes - 2 each of 12 designs. These are NOT self-adhesive. I used the Rose Postcard one for my card by cutting it down just a bit and then using SNAIL adhesive attaching it to the card base. Here's a great opportunity offered by Stampin' Up! to try My Digital Studio. For use beyond 30 days, purchase My Digital Studio Express, item #124483 or the My Digital Studio, item #118108 disc version. You can download the software and access the free trial just as you would a Stampin' Up! digital download by downloading from OEX (item 129600). Because this is a digital download, customers will need to place their order themselves thru my Stampin' Up! Website. Then you will be able to download it immediately for use. Q: How long can we take advantage of the My Digital Studio Express trial? A: This is an ongoing offer. We want all our customers to be able to try My Digital Studio. Q: What digital content comes with the My Digital Studio Express Trial?A: My Digital Studio Express includes one stamp brush set, 12 Designer Series Paper patterns, 81 embellishments, 26 punches, and 5 designer templates. You can view a list of the included content here. Q: What's the difference between My Digital Studio and My Digital Studio Express?A: My Digital Studio Express is My Digital Studio software that you can download directly to your computer without having to wait for discs to be shipped to you. The program functionality is exactly the same as the disc version of the software with less digital content. (To see what content is included in My Digital Studio Express, click here.) You can watch a quick video explaining the difference between My Digital Studio and My Digital Studio Express here. Q: Do I have to have access to the Internet to use the trial?A: Yes. You need access to the Internet both to place your order to download the program. Q: Can I get the My Digital Studio Express Trial on a disc? A: No. The My Digital Studio Express Trial is only available as a download over the Internet. However, the file is not large, so even if you have a dial-up internet connection, you will still be able to download the program. Q: What are the system requirements to use My Digital Studio?A: You can see the system requirements for My Digital Studio here. Q: How do I install the My Digital Studio Express Trial software after I have ordered it? 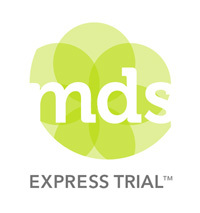 A: Customers can access their My Digital Studio Express Trial download through the Downloads section of their account. Make sure they select Mac or Windows, and the download and install wizards will walk them through the rest of the process. Q: Is the trial version of the software different from the paid version of My Digital Studio Express? A: No. When you order the My Digital Studio Express Trial, you will receive the full version of My Digital Studio Express. The software will function exactly the same as if you had purchased the software--you can design, purchase downloads, and print. The only difference is that you can only use the trial version for 30 days. Q: Can I place a print order with the trial version? A: Yes. You have full access to everything you can do in My Digital Studio for a full 30 days. This includes full designing functionality, printing, and the ability to purchase downloads. Q: Do my 30 days start as soon as I download My Digital Studio? A: Your 30 day trial period starts as soon as you launch the program. It does not matter when you download the program, your 30 days will start as soon as you actually launch (open) the program. Q: Will the trial still last 30 days even if I order it in the middle or end of the month? A: You can order the My Digital Studio Trial at any time. The trial period is not tied to the calendar. The trial period will begin as soon as you launch the program, and you will be able to use it for the next 30 days. Q: What happens after the 30 day trial period is over? A: When you launch the software after the 30 day trial period is over, you will be prompted to enter a product key. You will not be able to use the software again until you have entered a product key. You can get a product key by purchasing My Digital Studio or My Digital Studio Express. The product key prompt will include a link to the software page of MyDigitalStudio.net, which will tell your customers where to order the software. Q: How do I purchase My Digital Studio after the trial period is over? A: Simply add My Digital Studio (item 118108) or My Digital Studio Express (item 124483) to your next order. If you order My Digital Studio Express, you will not need to reinstall the software. A product key will be e-mailed to you; after you complete your purchase, just enter that product key when the program prompts you to. If you purchase the disc version of My Digital Studio, you will need to use the installation discs in order to access the included digital content. The installation wizard will walk you through the process, including entering the product key (which you'll receive with your shipped discs). You will not lose any downloads or projects from your 30-day trial period. Q: What happens to digital downloads I purchase during the 30 day trial period? A: You will have continued access to any downloads you purchase during the trial period. If you choose to purchase the software, you will simply need to enter a product key, and you will be able to use all your downloads like normal. If you do not purchase the software, you will still have access to your downloads through your download manager, and you will be able to load them to the digital design software of your choice. Q: Can I use My Digital Studio digital downloads in other design programs? A: Yes. The My Digital Studio digital downloads will work with any digital design program. Q: Will my saved projects be lost when the free trial ends? A: You will not be able to edit any of your projects through My Digital Studio after the trial period has ended unless you purchase the software. If you do chose to purchase the software, you will be able to access all your projects. If you don't choose to purchase the software, we recommend you save your projects as jpg files. You will then be able to use them like you use any of your jpg (picture) files. Q: Can I have two free trials? A: No. The My Digital Studio Express Trial will only work once. After your 30 days are over, you need to purchase the software to continue using the program. Q: What if I don't want to purchase the software at the end of the trial period? A: You can uninstall the software at any time. Q: Are there other free My Digital Studio downloads available? A: We do occasionally offer free My Digital Studio downloads. These are generally promotions that run for a short amount of time, and will be announced in a current update. Download some of our free digital downloads for the 2010 In Color Card Stock and Designer Series Papers. You can find links to those downloads here. Q: Will My Digital Studio work on my iPad? A: No. We do not have a My Digital Studio app at this time. Q: How do I use My Digital Studio? A: We have several videos and resources available for both you and your customers on the training section of MyDigitalStudio.net that will help you learn how to use the program. When you punch out a blossom design then cut up to the 3/4" circle, you will create a 3D effect for these flowers by gently bringing ups the newly created petals.. I accented them with brads in the center and placed them on the card using Stampin' Dimensionals.